Albert Floyd Piccirilli (born July 13, 1928), also known by his stage name Al Rex, is a former bass player for Bill Haley & His Comets and its predecessor Bill Haley and the Saddlemen. He started playing for them in 1949 and became noted for "wild antics" on stage. 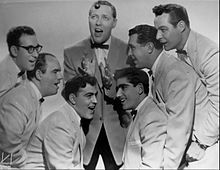 He formed his own band, Al Rex and the Regaleers in 1960. He left the music industry soon after, although he continued to perform on occasion. He later had a wife and fathered eight children.